We have now been using our SMART™ saddles for four weeks on all of our event horses and there have been noticeable changes in all the horse’s way of going and also in their performance at competitions. We were really lucky to have a Solution Saddles Technical Advisor come to our first event using the saddles at Larkhill to support us with fitting and helping us to get used to swapping the saddles from horse to horse. After a few events and a bit of practice we are now in the swing of using them and now it is straightforward – especially as we use fewer saddles and so packing the lorry for a competition is far easier! Sabreeze has shown great improvements – being an older horse, when we first put him in a SMART™ RigidFree™ saddle, he wasn’t convinced about it and took a few days to get used to it but he has not looked back since. He is freer in his movement and at Larkhill suddenly found, midway through his show jumping, that he could actually move over a fence and began to throw some amazing shapes! 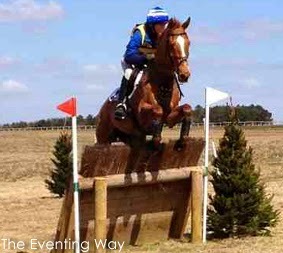 He was 13th at Larkhill, in a Novice section. Our first runner across country in a SMART saddle - Sabreeze in the Novice section at Larkhill. Cadanbyrig No Warning (Blott) has been working really well and is building her strength and her jumping is also improving all the time. We are really pleased with how she is building muscle over her back. Blott has scored sub 30 in the dressage at all of her events in the past month. Cadanbyrig Moonrunner (Mole) has shown a big improvement over a fence since using the SMART saddles. Showjumping is always her weakest phase but at her last event she jumped a lot better. She has been softer and more accepting on the flat. Phantom Spark has not competed much due to cancellations but he has really improved his straightness and the most noticeable difference is how he is beginning to build muscle over his back and we’re looking forward to seeing how he progresses in the coming month. In the meantime he has been to training camps with the Australian eventing squad and also for lessons with Mark Phillips where we have been working on developing his technique over a fence now that he is much freer in his movement. Joey has been out competing at an Inter Hunt relay – his first competitive outing and finished 4th, he was beautifully behaved and jumped really well – we were all impressed with him! Scobie went to South of England for his first Open Intermediate of the season and did a good dressage, but unfortunately he wasn’t right to showjump and so was withdrawn. He is an older horse that is established in his way of going but is showing more freedom over a fence. Scobie is now aiming for two star level competitions at Houghton. 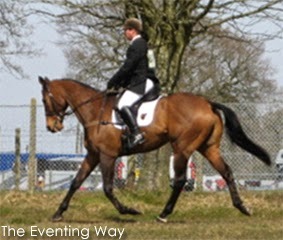 Scobie at South of England Open Intermediate dressage. So far we have been really impressed with the SMART™ saddles, they feel really secure cross country and don’t move or slip back which is so important! We are starting to see changes in the shape of the horses back as they are building muscle, we have also noticed that any small lumps, bumps or rubs that the horses had under their previous saddles are now disappearing. 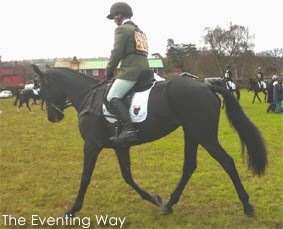 Check back soon for another update from The Eventing Way event diary to find out how they got on at Hambleden International Horse Trials with their SMART saddles.